What are the weekly/daily prices of polymer commodities? 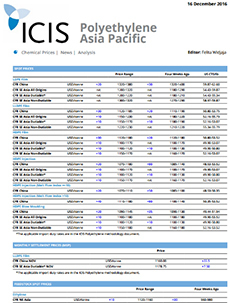 ICIS pricing reports provide regional price assessments of key polymer chemicals that are traded regionally and globally. They are published weekly, enabling you to keep track of trading prices, understand price drivers/fluctuations and have a reliable benchmark for contract price settlements. What are the forecast prices for key plastics/polymer raw materials in the next 12 months? 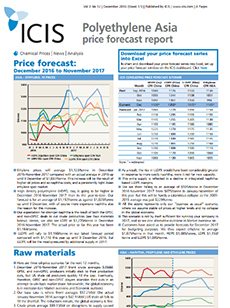 ICIS consultants forecast the likely trade prices of styrene in the coming 12 months, based on the supply and demand dynamics and market developments. Raw materials: Current data on the upstream feedstock prices affecting commodity market prices and margins. Will there be supply/demand imbalances over the long run that can push up key plastics commodity prices? 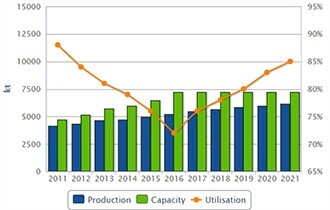 ICIS Supply and Demand data enables you to gain a mid-to-long term view of key chemical markets.